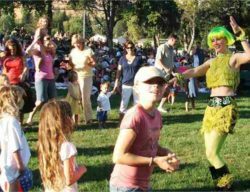 Now in its 33rd year, the town of Danville continues offering this summer music tradition to the public. Spend four Saturdays under the sun surrounded by friends, neighbors, and great music. Bring a blanket, a picnic, and the whole family for singing, dancing, and socializing. Please note that the August 11 event will be held at the Town Green, 400 Front Street, Danville, not in Oak Hill Park.